New York Giants Water Resistant Reflective Pet Jacket. This NFL officially licensed stylish water resistant reflective jacket features an embroidered logo of your favorite team and a lightweight soft fleece inner lining. Jacket slips on over your pet's head and is secured by two plastic clasps on side straps for an easy-on secure fit and quick removal. This stylish jacket is sure to be a hit and help keep your best friend warm, dry, and safe! 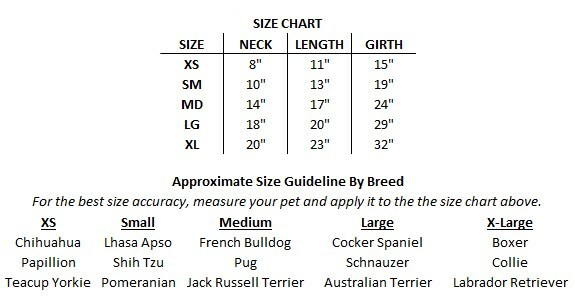 New York Giants Water Resistant Reflective Pet Jacket has a rating of stars based on reviews.